Can a Transformers’ film based on just the machines exist? I believe it is possible. The origin of the robots in disguise must adjust for the film world but, a very different film can happen. I see these Michael Bay films and commend what they represent. The films are brave, creative, and breakdown the walls, with every technology opportunity.These movies are also one man’s vision of what a Transformers’ movies can achieve. If you visit a site like Rotten Tomatoes, at http://www.rottentomatoes.com/, look up the first Transformer’s film, and at the ratings’ differences between the audience and the most popular critics. Their views are very different. When you see the disparity between audience members’ reviews, there is even more diversity. Moviegoers will have different opinions. It does continue a tradition. This show thrives today as it did many years ago. This program continues to change and adapt for children and adults. The Transformers had a strong animated television program, in the past, and now presents a lighter show to entertain today’s generations. In my personal belief, a different kind of cinematic experience can make the Transformers’ movies closer to their past-animated counterparts. It would be a different kind of movie, but a blockbuster. The key is the direction to take with the new film, or films. In the end, like a Johnny Five, from the movie Short Circuit, or Chappie, from the movie Chappie, we all have to believe a robot exist that has emotion, personality, and purpose. They can advance into the future and a new existence. Before I continue, what brought this on? Literally, the other day, I watched a show from 1985. It was an episode from Season 2 of the Transformers animated show. In the episode Sea Change, Sea Spray and the Autobots visit an alien world and prevent the Decepticons from taking over the planet. In the episode, Sea Spray falls for an alien, but human-like woman. It is so clear that a mutual love develops and an opportunity arises for the Transformer to enter a special lagoon and transform into a combination of an organic creature and robot. It comes down to a way he and this alien female can be together. The episode was insane. The idea that you can build a film with just the machines taking the lead seems very possible if their intent is to grow and change in the audiences’ eyes. Where do you start? The Transformers are alien. The story can start in California. Why not follow a Bumblebee, or Optimus Prime as they lead the Autobots after they have crashed to Earth? They explore the planet, and run into humans that they keep at a distance. The Transformers can be clumsy and not so careful. A small group of people realizes Optimus Prime, Bumblebee, and so many other hidden Autobots, that cannot transform yet, exist. This becomes an issue and local risk, at first, and these people see the robots as aliens invading, and on, Earth. Their voices can go unheard. The audience sees these hidden robots, Autobots, adapt, and take the form of vehicles and devices that hide within human society. Optimus Prime or Bumblebee can be individuals in search of finding security for their family, or the close-knit group, of Autobots. They can search for a way to construct a shuttle to get back to their planet, or consider simply finding their new lives on Earth. However, these Autobots forget why they crashed. They are just happy in their new existence, find solace in secrecy, and the possibility of getting home. One day, on a road, an Optimus Prime or Bumblebee, embraces the beauty of Earth. They realize this planet could be a good place for them to live and a place where they can coexist with humanity. No Autobot understands how they crashed on Earth. Suddenly, a flying vehicle takes an interest in them, in their automotive form. This other vehicle can get to close to, and eventually assault them. This starts a small altercation, the introduction of the Decepticons, and the reality of their crash to this planet. The Autobots meet the Decepticons and only transform into robots in a secret place away from human eyes. Optimus Prime, or Bumblebee, understands a battle in space, between the Autobots and Decepticons, led them all to crash to Earth together. This is an extension of a civil war on their common planet of Cybertron. At this point, Autobots and Decepticons engage in small battles in the public eye and get the reaction of more people. 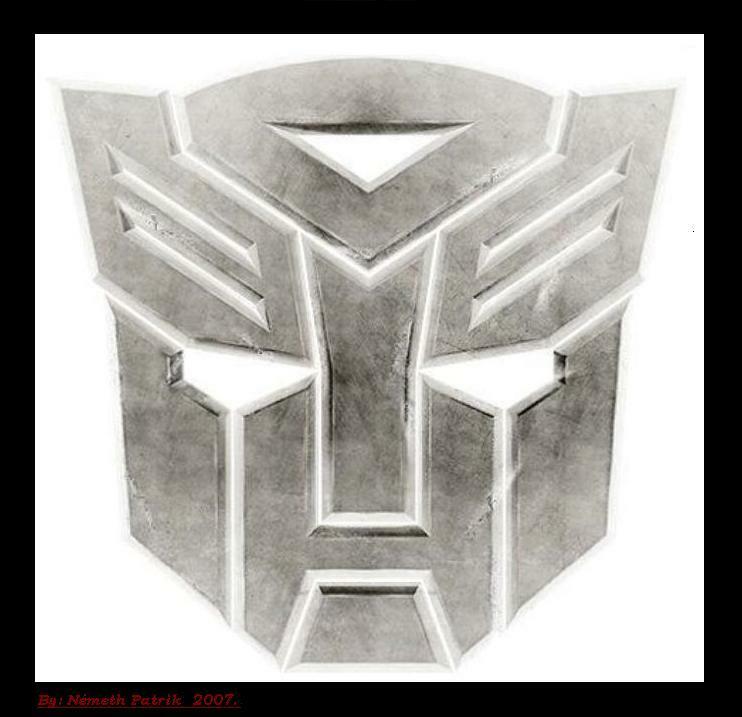 Hearsay and the media expose the Transformers. A few people, a small group, that remembered the Transformers before, follow these battles and must decide between two sides. Some see Megatron, and his Decepticons pillage human society of their natural energy. They can realize Transformers, overall, are not good. Others may not see all of these machines as threats. These people find the side they can best relate. The public as a whole warns the United States military. The humans, willing to listen, with the Autobots can discover the Decepticons are robbing the planet of its resources. These people can use their knowledge of the planet and natural energy to help the Autobots battle the Decepticons, and prevent their thievery. A terrified public can lead the United States military into a direct confrontation with all the Transformers. The Autobots and Decepticons engage in a massive battle in the eye of the public. There can be plenty of human casualties. The Autobots become aware of this and disengage from battle before it becomes too big, and ruthless. At this point, the United States military attacks everyone and drives all of these robots to retreat. The Autobots go into hiding in their discovered, damaged, ship. The Decepticons hide for the moment, but Megatron, leader of the Decepticons, devises a plan for the Decepticons to get what they want from humanity. These Decepticons take the form of machines with war bound intentions. Megatron introduces himself to the United States military. Megatron paints a picture for them of the Autobots as nuisances from another planet. He determines the Decepticons are a group that advances societies wherever they travel. Megatron knows not to allow humans to get a hold of Transformer technology. He does offer to help advance their weapons, in his way, come to the aid of only the United States military in any battle they need against other countries, and promises to advance the popular technology in the country. In return, Megatron wants to be able to have access to various natural resource sites all over the planet. He wants to establish factories; poison to humans and that only Decepticons can use, to develop advances in human technology. In reality, the factories are a front to steal resources from the planet. The Decepticons plan to work in the shadows and establish silent, backdoor treaties with other countries and societies in order to put humans against other humans with this new weapons’ technology.They want to take energy from planet Earth so they can return to Cybertron, and leave the planet Earth in ruins. The military, the government, and so many other countries strike a deal with the Decepticons and start this path to destruction. A Bumblebee, or Optimus Prime can see all these things happening, in the background, but realize that if the Autobots engage the Decepticons this can only lead to more human lives ending. Unaware of the Decpeticons final purpose, they take a passive stance and decide to wait to see if the Decepticons’ plans will cause real harm. They will only use brute force if it is necessary. The Autobots have a last-ditch plan to end the Decpticons before they can cause real harm. This is how the film would end. Is it good? Eh. There is one critical question though. Would these Decepticons be evil? Early on in this film, a narration explains different Transformer creators developed the Autobots and Decepticons as balance keepers of the universe. One unknown creator made a group of transforming robots with the purpose of bringing peace and balance wherever they travel. Another creator developed Decepticons to use force, by any means necessary, to establish a peaceful universe. This can have implications. The Decepticons creator developed machines that were too intelligent and powerful. These Decepticons try to kill their creator. This Decpeticon creator left his machines to survive on their own. He escaped, and looked for a way to destroy the Decepticons, Autobots, and possibly more. These same free Decepticons traveled and encountered other alien races in the universe. While friendly, at first, these other races turned against the Decepticons because of their power and intelligence. These Decepticons, without any creator’s guidance, and only Megatron’s experience, grew cold. They came to believe that in the end life destroys itself. They believe all creations that come to life will destroy one another, based on their encounters with their creator and other species. Therefore, all life must die. They play the role of destroying life before it has a chance to go bad. This establishes peace. In the end, they know to destroy themselves, but not before they take out everything else. I do not know if any of the above is good. I know I wanted something very different from a Transformers’ film. These robots in disguise can lead; truly have humanity, and true purpose. Man, time is almost up. The Nintendo Wii U should get many game experiences. This is not just to have certain titles on the Wii U. It is more games I wish Wii U could get to take advantage of the Wii U Gamepad as a concept, in different ways. First party titles, like Mario Kart 8, use the game pad in a very specific way. It is the only means of controlling a game. However, Wii U does not just have one way of playing games. Nintendo created the Wii U Pro Controller for a different way to play. With the coming of Devil’s Third, for Wii U. wise words, at https://www.facebook.com/tomonobu.itagaki/posts/1594416470822465?comment_id=1594437650820347¬if_t=feed_comment_reply, indicate a pro controller, pro, method of playing this game from its creator, Mister Tomonobu Itagaki . This brings up an interesting idea. While a warm pro controller is in your hand, what do you do with a helpless Wii U Gamepad? Have fun with it just before the release of the Nintendo NX. Below are ten games I wish could come to Wii U, make use of the Nintendo Wii U Pro Controller, and Gamepad, in the latter half of its existence to rejuvenate the platform, and reconfirm the basic concept that Nintendo always innovates. 10) Gauntlet– I wish this would come to Wii U. The game, from Steam and Warner Brothers, seems meant for Wii U for not only a solid, single player campaign, but an innovative multiplayer, on and offline. As players only use the pro controller method, Gauntlet could use the Wii U Gamepad, to implement special devices like a looking glass to get to certain places in the game faster, and in multiplayer, players can use the game pad to distract, or help other players on screen with content on the game pad. 9) Grand Theft Auto V– While using the Wii U pro controller only, this Rockstar title would be interesting. The Wii U Gamepad, as players go wild in the game, and push up their warning level, can be a device for the artificial intelligence. The game can use the game pad to distract players from causing chaos, or players can, while online, can communicate, call to, and distract opposing players with content sent to other players’ game pads. 8) Sonic the Hedgehog- Sega’s game could use a boost on the Nintendo Wii U. The blue hedgehog, and a pro controller, in a single player campaign can use the Wii U Gamepad as a map for short cuts, and special options only on Nintendo’s version of the game, at points in the title. An online multiplayer for Sonic can use these same special options to create a speedy, competitive foot racing game that calls out players in the Miiverse, uses certain special options online, and creates distractions on the game pad for players focused on their television. 7) Nintendo land 2– This game is very good, but I always wished Nintendo would add a multiplayer online element to the game, a pro controller option, and ability for Nintendo to update the game with newer games online. 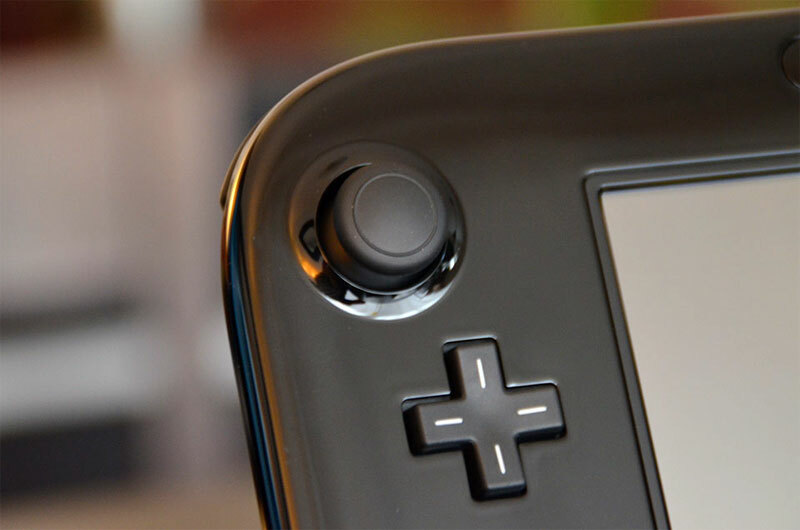 Using only the pro controller, Nintendo could make the Wii U Gamepad the opposing player in games, and distraction for players from the television screen. In multiplayer online, players online can use the Wii U Gamepad to distract other players from their game, and force other players to complete fun tasks on the game pad while focusing on their game as well. 6) Evolve– This would be a nice title to bring to the Wii U. The online multiplayer itself would suit the Wii U and Nintendo’s special additions would make the game unique. Using only the pro controller, the game pad could be a scare tactic, and distraction for players in the game. In online multiplayer, players could use the game pad to send distracting material to players as they hunt, and make them fearful of losing their edge. 5) Fatal Frame V– While this game will arrive on the Nintendo Wii U and use the game pad in great ways, a pro controller only Fatal Frame would provide a unique game perspective. Any horror game, specifically this one could use the game pad to distract players in the greatest ways. The game could use the game pad to send messages and horrible elements to the game pad’s screen. An online element could use Miiverse feedback, and Wii U players online, to send messages while in game, and scares at inopportune times in the game to the game pad, from the MiiVerse. 4) NBA 2K– The game currently on Wii U is nice. A meter, on the game pad, tracks players’ health that comes on screen if you use the game pad. A pro controller only game could set a different stage. Players can play a game and receive small mini games to distract them from their game. In online play, gamers can use the game pad to talk trash while in the Miiverse. 3) Street Fighter 5– Nintendo and Capcom go together like Peanut Butter and Jelly. A Street Fighter title, with pro controller only option, can use the game pad, to establish a coin-op display as other players online, or in game, watch you play, and wait for their chance to combat you. In online mode, players can send mini-game distractions, on the game pad, to distract opponents on the television. 2) Afterburner– This was a spot reserved for Starfox. However, that game will be its own beast. Nintendo could bring another arcade classic to Nintendo Wii U. A pro controller based game could open the door for single player campaign with a game pad that issues threats from the enemy artificial intelligence. Multiplayer online can have players online talk trash throughout the game pad and send mini-game distractions. 1) Wrestling– This spot could be for Mario, Zelda, or even Metroid. Instead, a WWE type game could use a pro controller style and use the game pad to send locker room distractions to players during matches and mini-games. Online play could allow players to send distractions to opposing game pads, call out players from online, and allow players, during tag team matches, to exchange advice, and even special health options. Many of the options, offered above, are to send distracting material through the game pad to players during their game play. The Wii U game pad has other uses. That is the whole point of this piece. Play on the Wii U Gamepad is one option. Another way to work with these games is to use the pro controller and find other unique ways to use the Wii U Gamepad in the background. So, I read an article at http://www.nintendolife.com/news/2015/07/project_hammer_expose_reveals_torrid_state_of_affairs_at_nintendo_software_technology, and it talks about the state of Nintendo while a game, Project Hammer, was in development. There was a lot said. The reality is it points to an issue in gaming. If you look at the state of Xbox One, while it does carry strong content, the system is not as popular as it should. This also points to an issue with gaming. The companies that create these consoles have strong identities, and brands. They have a responsibility to it. However, these markets serve public interest, not just customers in their neck of the woods, not just because of certain statics, but because with the development of certain hardware, the hope is, there is a responsibility to do a few things. One, use your hardware, and explain its purpose so that other companies can use it, to the best of its ability. Two, if you are developing worldwide content expect to compete in a world market. Three, you should always value quality. Ideally, there are three other ideas, I believe, these companies should consider. One, if the understanding of hardware is clear, other companies can be open to influence, push the limits of the hardware, and make suggestions for a current and next level hardware. Second, companies should never, ever, do exclusives, unless it is first party content. Three, Companies confident in their brand, and products should be able to take their market rivalry, and bring it into games, meant for competition in the gaming world. Nintendo just completed their Nintendo World Championships, which is fun, a place to display their products, and truly establishes stern competition. In my eyes, I know this is an only Nintendo showcase. Why not have two parts to the competition, a Nintendo only portion, and a Microsoft, Nintendo, and Sony makers, and players, competition, with exclusive games made by the companies in a combined effort for the competition? In some sense, I believe, the game’s industry seems broken, though it is at a premium time, These companies need each other, need to develop stronger consoles, and could really turn the industry into an exclusive place for competition, surprises and fun, if there is a common world, quality, united competitive, and dedication-to-games, on all consoles, view. How does a Street Fighter game, with nearly identical look and feel, exist two different ways on an Xbox One, and Playstation 4? How does Nintendo create an intellectual property like Fatal Frame for Japan, on the Nintendo Wii U, and months later, in a world market, prepare it for another countries’ rendition on the console? How in the world does Xbox One have Killer Instinct, and the console not be a complete success? It begs to question the mindsets of the corporations, and more the direction of the gaming industry. The hope is there is a more open-minded approach to fight back the old ways. Is there a dedication to understand what your system can do and stand by that quality? Can the company’s console, though the popular, learn from the competitors, and be more consistent in their offerings, and not nonchalant about anything they bring to the market?